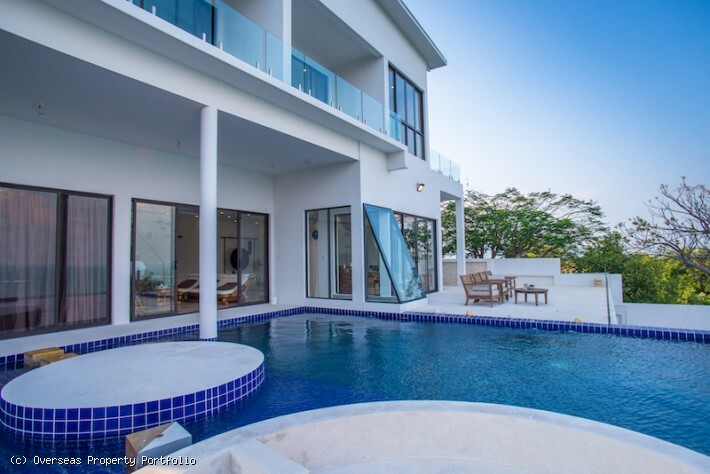 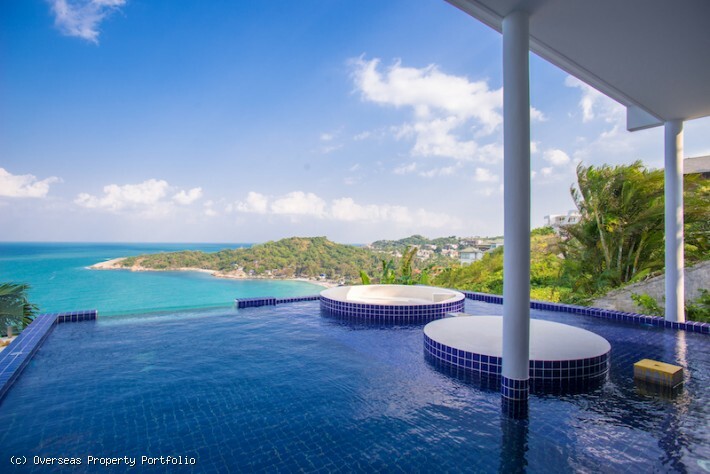 REDUCED from 59,000,000 THB to 49,000,000 THB This extensive six bedroom Koh Samui villa for sale with an abundance of indoor and outdoor spaces is perched on a picturesque hillside in the most sought after location of Plai Laem and enjoys breathtaking panoramic views to the sea and unforgettable Samui sunsets. 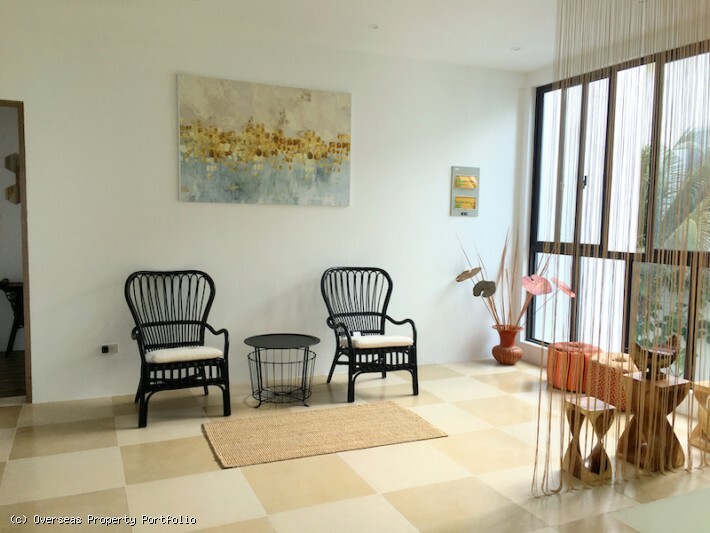 This luxury property sits in a quiet and well established estate with 24 hour security for your peace of mind. 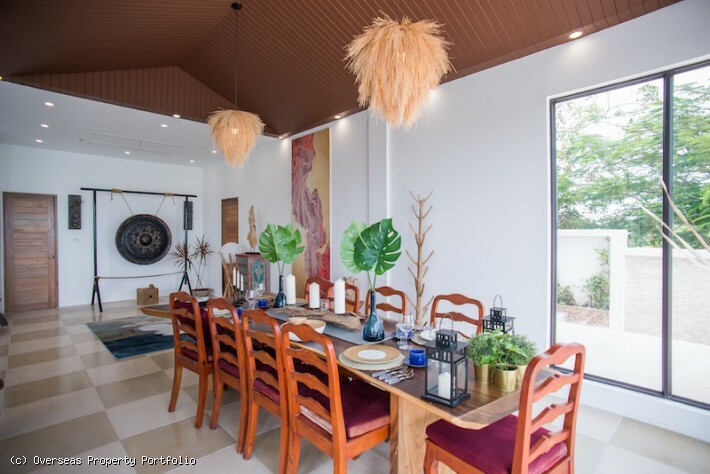 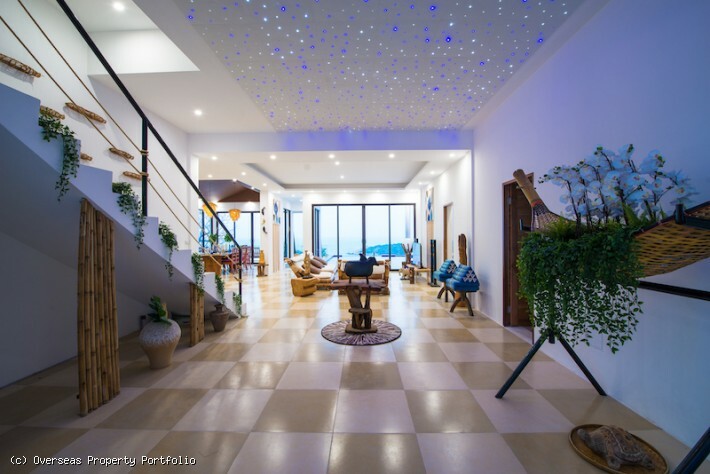 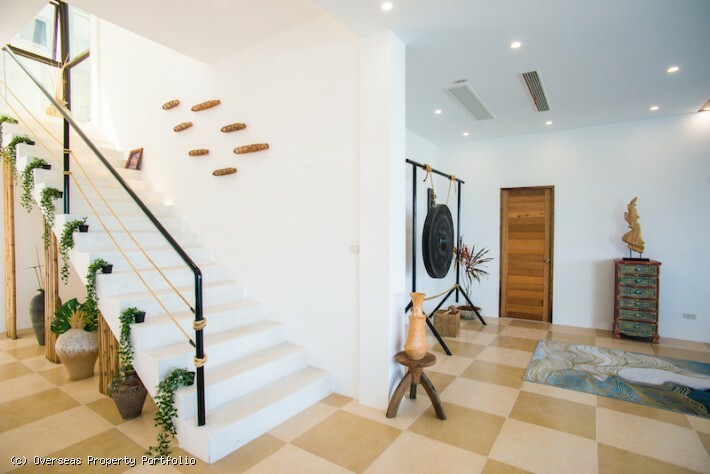 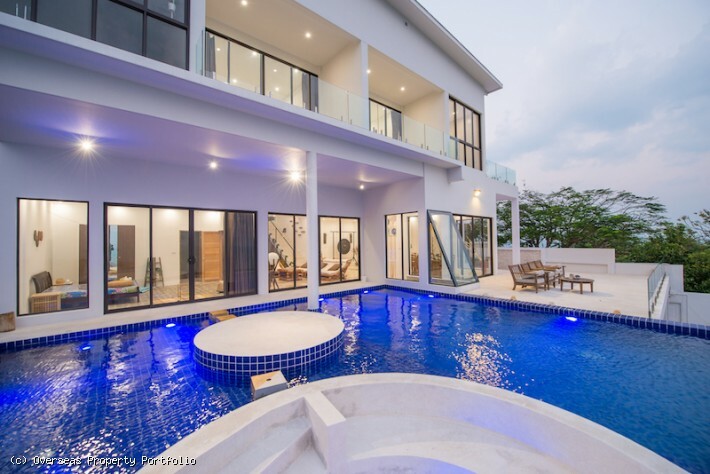 Surrounded by mature tropical gardens, this palatial Koh Samui villa for sale is spread over three floors and provides plenty of common space for gatherings and get-togethers. 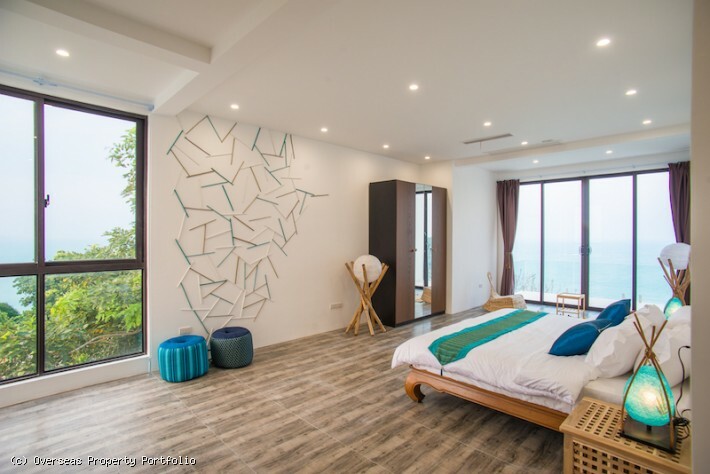 The spacious open plan living and dining area is drenched with natural light and opens onto a wide terrace and 70 sqm infinity edge swimming pool with a sunken seating area, looking to the turquoise sea and the Tongson Bay. 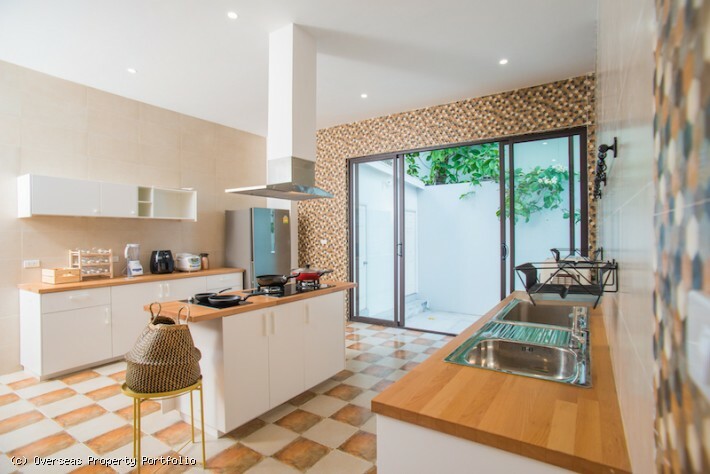 The modern kitchen is separate from the common area and equipped with a gas and electric hob, microwave, electric oven and fridge. 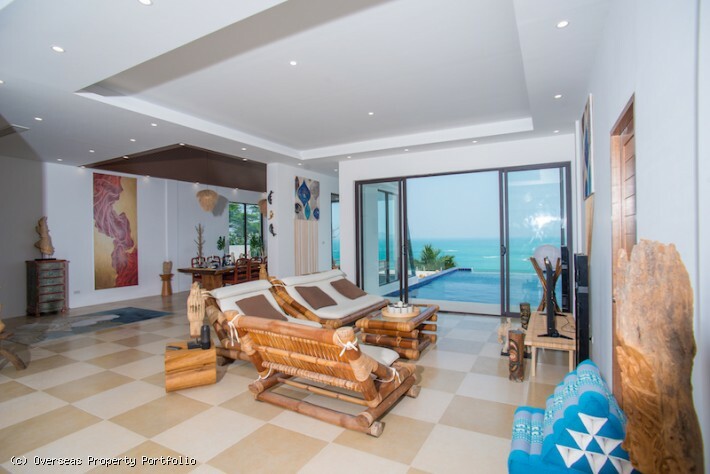 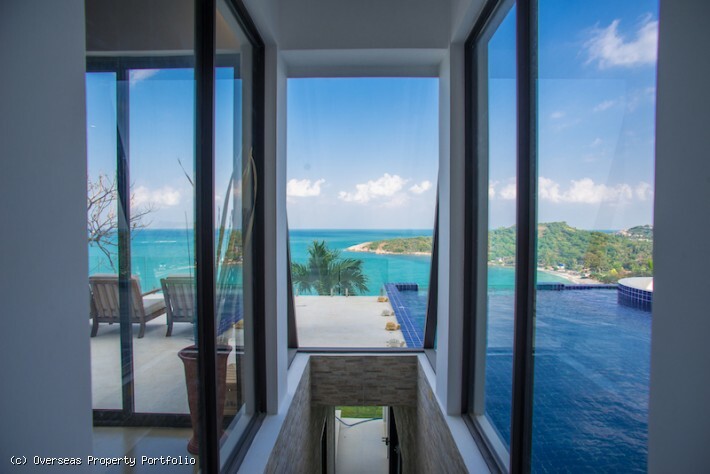 In total, the well presented Koh Samui property for sale features five spacious bedrooms, all enjoying panoramic sea views. 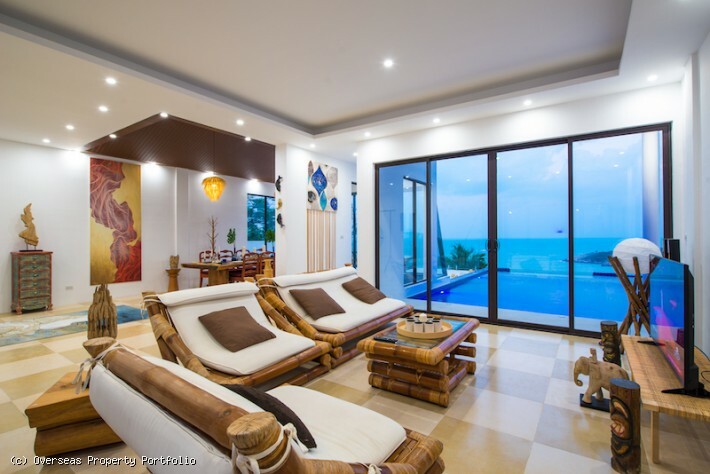 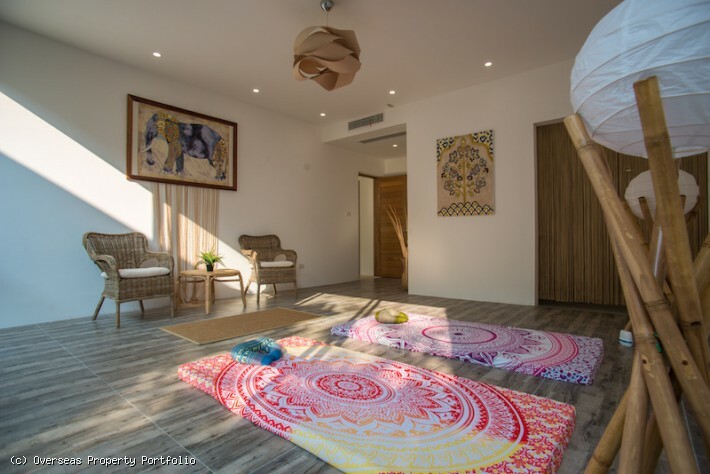 Three bedrooms are on the upper floor and two bedrooms on the first floor with the direct access to the swimming pool. 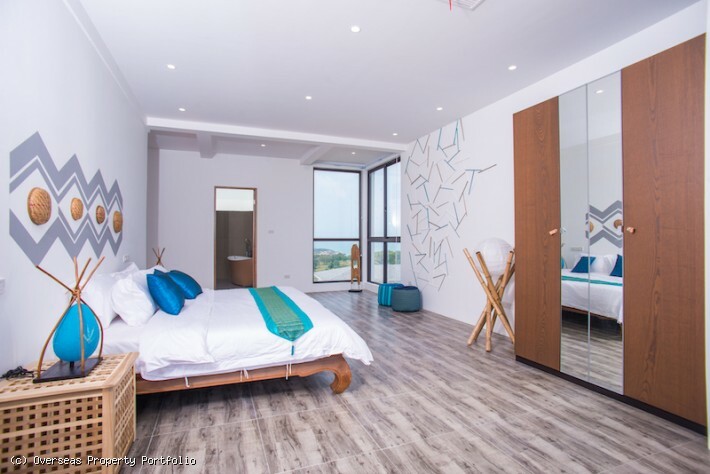 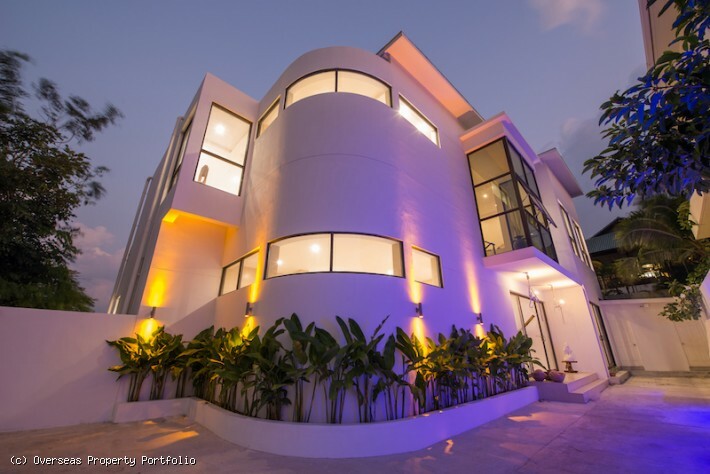 All bedrooms feature ensuite bathrooms with baths and rain showers, and one has a jacuzzi. 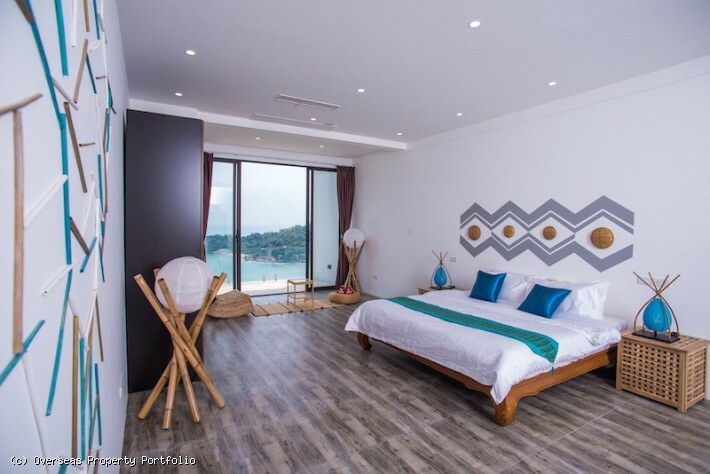 Each bedroom is stylishly decorated, each has a different design and its own distinctive character. 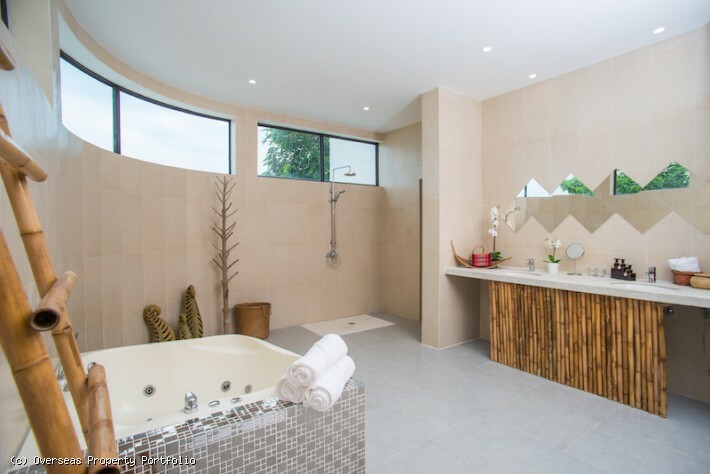 On the upper floor there is a large spa room with ensuite bathroom, which can be easily converted to an additional bedroom if necessary. 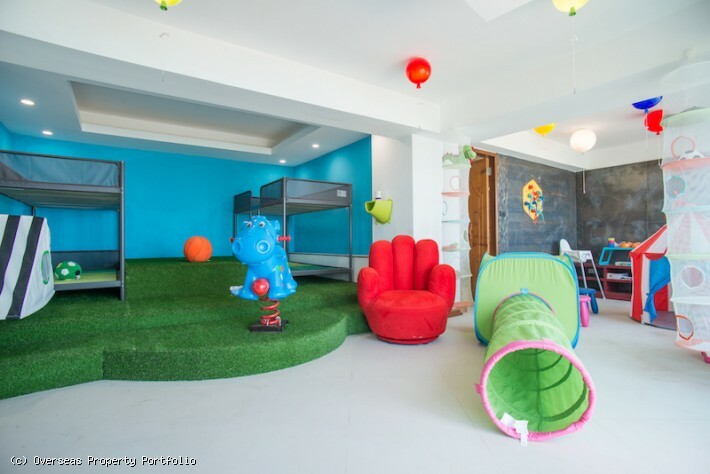 The ground floor houses a cheerful kids' room fitted with bunk beds and many toys, a truly heaven for children! 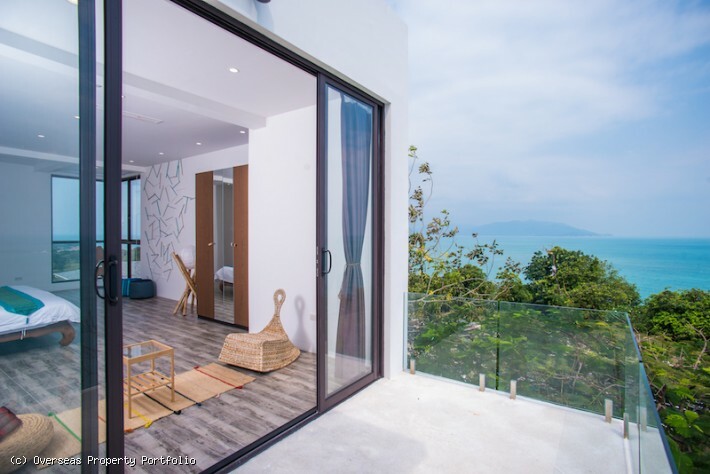 The kids room has ensuite bathroom and opens onto a green lawn looking to the sea. 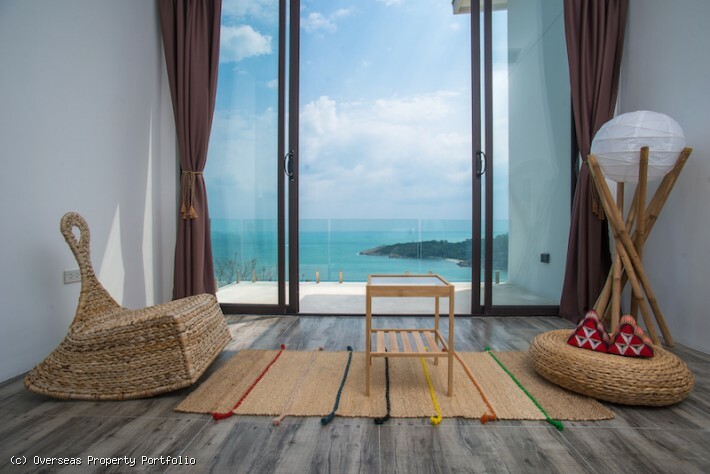 Next to the kids' room is a game room with mahjong table, chess and cards, perfect for guests entertaining. 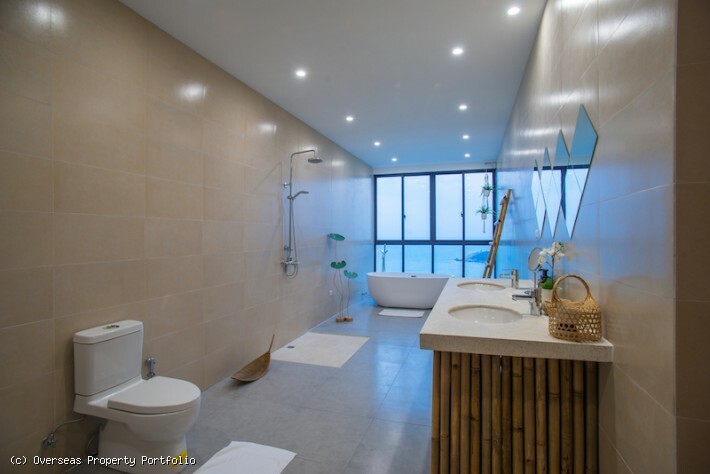 To the rear is another room with a bathroom which is currently unused and can be converted to a gym or an office. 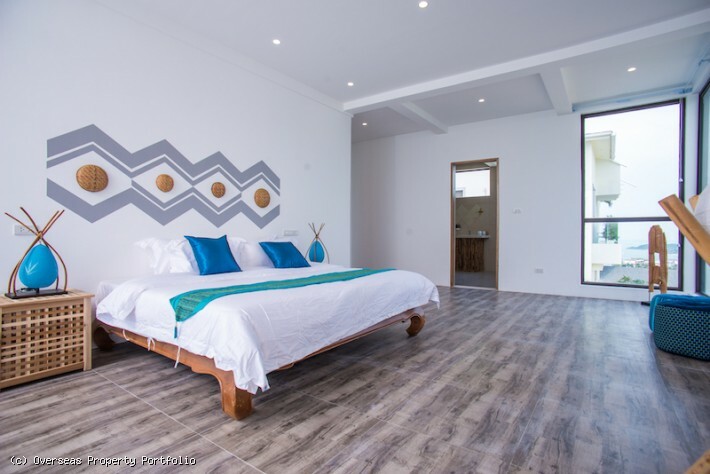 There is also a separate storage room and maid’s quarters with laundry area. 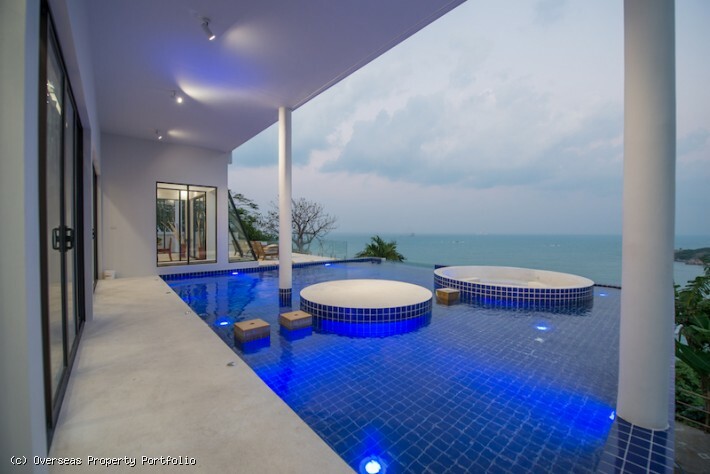 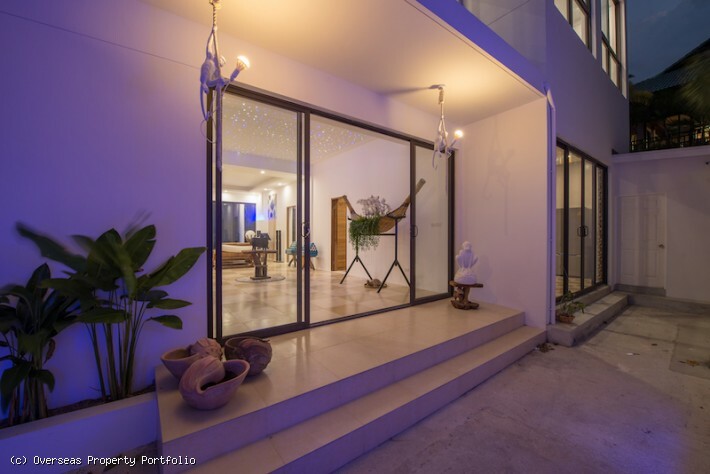 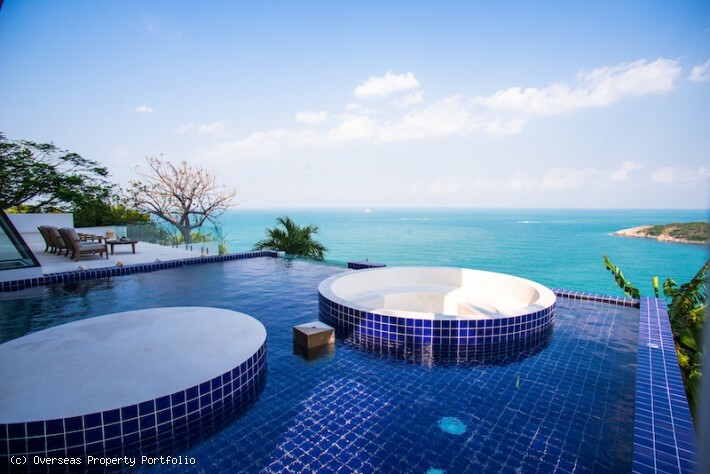 Situated in the prime location, this Koh Samui Property for sale will make an ideal rental investment. 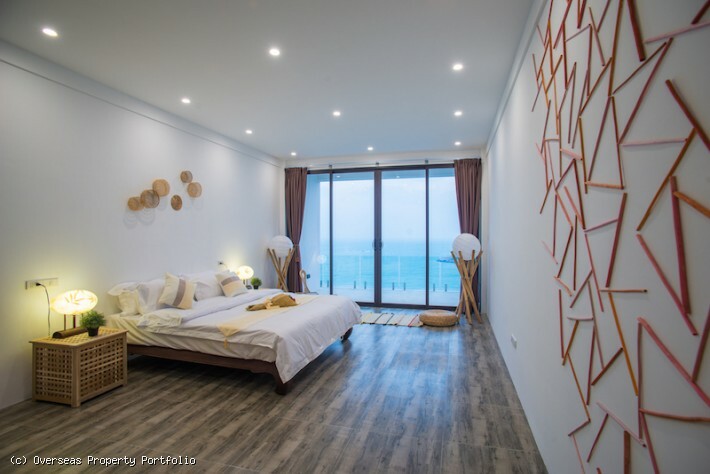 The beautiful beach of Choeng Mon is just 5 minutes away with many restaurants and bars to choose from, plus the numerous boutique shops of the popular Fisherman’s Village and The Wharf in Bophut, along with the nightlife of Chaweng are just a 10 minute drive away in each direction.